View a sample of photos through the years or browse through our Facebook photostream. 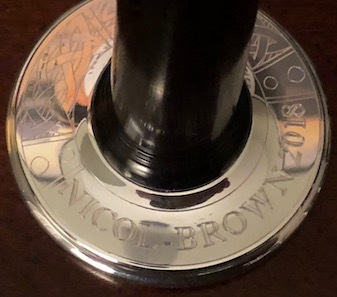 Prizes: Up to $750, sponsored by the NHSCOT Fund, to be used for travel expenses to compete in London in November 2019, or another major solo contest in 2019 approved by the Nicol-Brown committee; plus a McCallum pipe chanter with a custom-designed, engraved sole, donated by McCallum Bagpipes. Prizes: A $200 piping scholarship, sponsored by Doreen Forney in memory of P/M Angus Macdonald; plus a Celtic Knot Kilt Pin, Sgian Dubh, and Cuff Link Set donated by Duncan’s Highland Supply in Royal Oak, Michigan. Prizes: A $150 piping scholarship, sponsored by Doreen Forney in memory of P/M Angus Macdonald; plus a Thistle Kilt Pin, Sgian Dubh, and Cuff Link Set donated by Duncan’s Highland Supply. Prize: A $150 piping scholarship, sponsored by Doreen Forney in memory of P/M Angus Macdonald. Prize: A bound Piobaireachd Society Collection, Volumes 1-16, donated by Jon Maffett from The Piper’s Hut in Pickerington, Ohio. Prizes: A set of TechnoPipes by Fagerstrom, donated by Scott’s Highland Services in London, Ontario; plus Capt. John MacLellan’s Complete Compositions of Ceol Mor music book and double CD, donated by Iain MacDonald from reelpipes.com in Regina, Saskatchewan. Prizes: Donald MacDonald’s Collection of Piobaireachd, sponsored by Jane & Jim Spicer; plus Capt. John MacLellan’s Complete Compositions of Ceol Mor music book and double CD, donated by Iain MacDonald from reelpipes.com. Prizes: Ceol Mor for the Great Highland Bagpipe by Jimmy McIntosh, donated by JoAnn Scott; plus Capt. John MacLellan’s Complete Compositions of Ceol Mor music book and double CD, donated by Iain MacDonald from reelpipes.com. Prize: Capt. John MacLellan’s Complete Compositions of Ceol Mor music book and double CD, donated by Iain MacDonald from reelpipes.com. Prize: A McCallum long blackwood practice chanter with engraved sole, bowl, and presentation ferrule donated by The Piper’s Dojo in Troy, New York. Prize: Pipe Major W. Ross’s Collection of Highland Bagpipe Music, Books 1-5 donated by Heather Scott-Wisehart and Kevin Wisehart in memory of Heather’s mother, Mary Scott. Prize: A Roddy MacLellan long cocobolo practice chanter with bronze ferrule, donated by Henderson’s Ltd. in Traverse City, Michigan. Prize: A McCallum long blackwood practice chanter with engraved red mounts, donated by McCallum Bagpipes. 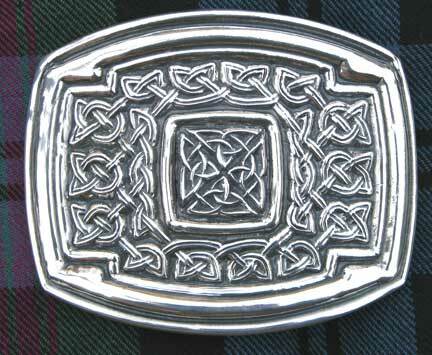 Prize: The Donald MacLeod Memorial Silver Buckle created and donated by Stephen Walker of Walker Metalsmiths in Andover, New York. Prize: Pipe Major Donald MacLeod’s Collection of Music for the Bagpipe, Books 1-6, donated by Heather Scott-Wisehart and Kevin Wisehart in memory of Kevin’s mother, Judy Wisehart. Prize: Mac Ìle: The Music of Fraser Shaw (tunebook and CD) donated by Erin McCarthy Shaw and Stuart Shaw in memory of Fraser Shaw; and a copy of Along the Road, donated by Iain MacDonald from reelpipes.com. Prizes: A copy of Ryan Canning’s new music book, The Blockbuster, and a copy of Along the Road, both donated by Iain MacDonald from reelpipes.com. Prize: A copy of Ryan Canning’s new music book, The Blockbuster, donated by Iain MacDonald from reelpipes.com. This prize is a special recognition for the effort and thought put into the presentation of performances, showing respect for the contest and bringing dignity to the music. Prize: A $100 gift certificate for The Piper’s Dojo sponsored by Betsy and Bruce Douglas. 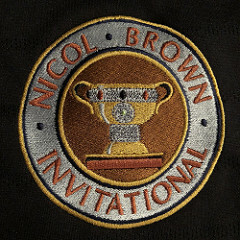 Each competitor this year will receive a Nicol-Brown towel; a framed group photo sponsored by Barb McCarthy; the coveted Nicol-Brown lapel pin designed by Charlie Glendinning and sponsored by Steve Porter; and a custom-embroidered polo shirt designed by Doug Matthews and donated by Karen, Howard, Zachary, and Alexander Seto. 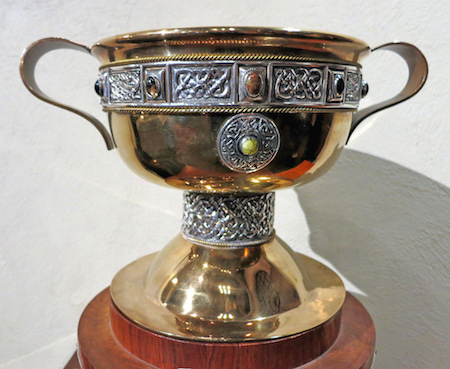 Invitations to the Nicol-Brown Competition each year are based on overall rankings and competitive results in the pipers’ home associations, as well as in national and international contests that show the highest standards of amateur piping for Piobaireachd and Light Music. An invitation is held each year for the Grade 1 Piper of the Day at NHSCOT’s New Hampshire Highland Games, provided that piper competed in the Piobaireachd event that day. Nicol-Brown competitors pay their own way to the contest in Albany, or are helped with their travel expenses by their own sponsors and patrons. 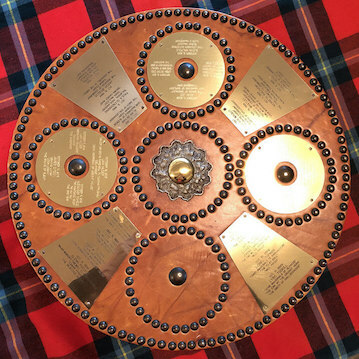 Winner of the 2017 and 2018 BC Pipers’ Association Grade 1 Grand Aggregate; Overall Champion at the 2017 Nicol-Brown and the 2017 Sherriff Invitationals; 3rd Place in the Intermediate MSR at the 2018 Argyllshire Gathering in Oban, Scotland. 1st Place out of 97 Grade 1 pipers in the EUSPBA Season Standings for both Light Music and Piobaireachd as of September 2, 2018; Amateur Piobaireachd Champion and Overall Amateur Champion at the 2018 US Piping Foundation contest (Delaware); Grade 1 Piper of the Day at the 2018 Loch Norman (North Carolina) and Capital District (New York) Games. Grade 1 Piper of the Day at the 2018 New Hampshire Highland Games. 1st Place in 2018 MWPBA combined Grade 1 Champion Supreme Standings for Light Music and Piobaireachd as of September 2, 2018; Overall winner of the November 2017 Balmoral Classic US Junior Piping Championships (Pennsylvania); 2nd Place in the Grade 1 MSRHJ out of 22 pipers at the January 2018 Winter Storm contest (Missouri); Grade 1 Piper of the Day at the September 2018 Pleasanton (California) Games. 2nd Place in the 2017 and 2018 BC Pipers’ Association Grade 1 Grand Aggregate; 1st Place in the MSR at the 2017 Sherriff. 1st Place in the combined PPBSO Champion Supreme standings for Grade 1 Light Music and Senior Amateur Piobaireachd for 2017 and 2018; Amateur Piper of the Day at the 2018 PPBSO contests at Kincardine, Cambridge, and Fergus; 1st Place in both events in the George M. Bell Amateur Championship at the 2018 Metro Cup (New Jersey). 2nd Place out of 97 Grade 1 pipers in the EUSPBA Overall Season Standings as of September 2, 2018; Grade 1 Piper of the Day at the 2018 Rhode Island Scottish Festival and the Hudson Valley Celtic Festival (New York). 2nd Place in the combined PPBSO Champion Supreme standings for Grade 1 Light Music and Senior Amateur Piobaireachd for 2018; Amateur Piper of the Day at the 2018 PPBSO contests at Cobourg, Maxville, and Almonte. 1st Place in Grade 1 Piobaireachd out of 17 pipers, and 1st Place in Grade 1 MSRHJ out of 22 pipers at the January 2018 Winter Storm contest (Missouri); 1st Place in the Grade 1 MSR at the 2018 US Piping Foundation contest (Delaware); Two prizes in the Juvenile solo contests at the 2018 Cowal Highland Games in Dunoon, Scotland. 1st Place in the 2018 WUSPBA Grade 1 Aggregate standings for Piobaireachd and Light Music combined as of September 2, 2018; 2nd in Grade 1 Piobaireachd out of 17 pipers at the January 2018 Winter Storm contest (Missouri). Doreen Forney’s donation was given in memory of P/M Angus Macdonald. Heather Scott-Wisehart and Kevin Wisehart’s donations were given in memory of their mothers, Mary Scott and Judy Wisehart. Stephen Pack’s donation was given in honor of his original piping teachers, P/M David Martin and P/S Donald Ross (St. Andrew’s Pipe Band, Detroit). Erin McCarthy Shaw and Stuart Shaw’s donation was given in memory of Fraser Shaw. Rick Woolard’s donation was given in memory of Ronald Morrison of South Uist. Please contact Paula Glendinning or speak to one of the other committee members if you would like to donate a prize. We welcome cash donations if you would like to sponsor a scholarship or help with the expenses of the Nicol-Brown. We are happy to designate your gift with a dedication in honor or in memory of someone. Please let us know if you would like us to add a link or a dedication to your donation listing.